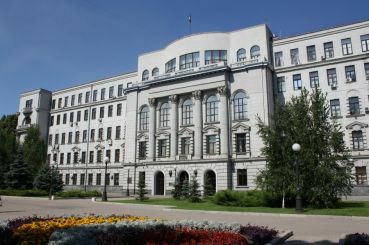 Dnipropetrovsk Oblast Philharmonic Building was built in 1909. This reinforced concrete structure with elements of Gothic and Art Nouveau was the real highlight of the then Ekaterinoslav, and the first monolithic structure in Europe. At that time it was located in the theater club public meetings. Opening Philharmonic took place in 1936. 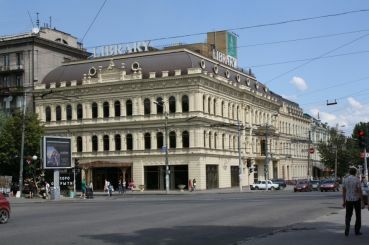 The first concert was a performance of the famous opera singer Xenia Derzhinskoy. 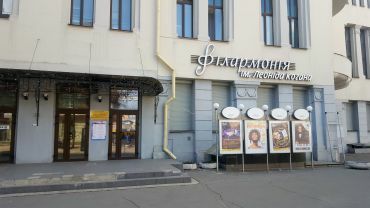 Today Dnipropetrovsk Philharmonic is an architectural monument of national importance and public cultural institutions. You can hear a symphony orchestra, wind quintet, ensemble of folk instruments, chamber choir and other groups.